Terra Forming Terra: Trouble With the Pineal Gland? I am not sure if any of this helps, but all inputs like this may. I put this into my list of associations and hope it pops up if it helps. 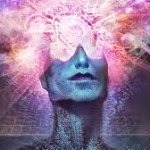 The pineal gland has attracted a lot of attention but even that is openly disputed so that it merely informs as to the the real depth of our ignorance. What I do know for sure is that a few individuals become opened and can with coaching and some discipline find ways to convert experience into usable words. Lucid dreams may or may not be part of the story and those I can confirm. There is much hype about activating the pineal gland. I touched briefly upon it in another post since it can be very problematic. I’m well aware that I’m going upstream on the hype. My aim is not to take it down but maybe to put it into context. The problem about those very easy shortcuts to activating the pineal gland is that they are more or less reckless. I can compare it to the gym: It would be like someone told you it would be rational, evolving and transcending only to work-out with the left leg! After a while you would look very asymmetrical, maybe and for whatever reason though, you would have a very good working left leg. What about the rest of the body? Asymmetrical is not what’s needed in this world. Symmetry is. The chakra system is a very well organized system of different vortexes each with it’s own specific quality. Every chakra has its own significance and our inner and outer symmetry is very dependent on their interaction. People seem to disregard what they refer to as lower chakras and only go for the pineal. It’s like building a house, but only the top floor. Not a stable place to be. The chakra system is like a candlestick with 7 candles. When I first noticed that I thought: Very clever, even though the western church doesn’t speak ‘chakra’ it has it anyway. The candle in the middle sticks out – the Heart – and is the only one that is connected to all the others. Precisely how the Chakras are designed. That is similar to the energetics of the chakras and it holds a very clear truth: Only through the energy of the heart, and by using that, can we impact our whole being. Going further into that example it’s not very hard to imagine what will happen to the 7-armed candlestick if we put in a too heavy or long candle. It will fall. And so will we. Let me give an example with the Root – Crown. The root is grounding. The crown is Celestial connection. If one should overlook the grounding and only go for the celestial like meditating on the Crown Chakra it will have some severe consequences: Religious hysteria, severe headaches, ‘way-out there’ space cadet and so on. Pray and do the garden, just as an example. That is a Dao approach: Chop wood – carry water – meditate. The second chakra (Hara) is tied in with many things: Sexuality, money, and obsession with both, to pick a few. The raw and basically sociopathic pill popping stand alone Hara-chakra can be observed in the Powers That Be, the control system, because they DON’T have the connection to the pineal gland which is the consciousness. The connection to the antenna of the soul is not present. Connection to grounding with regard to sexuality and the need for bringing home the bacon by desire and not by obsession with it. Then there’s the issue of psychic powers. If psychic powers stand alone without the necessary grounding they will bend the same negative way as I mentioned with the Hara Chakra. That’s where the big kahuna spaceships fly in and ascend the chosen few. That’s where all the distorted ‘channelings’ are born and more problematic; it opens up to ‘false’ connections to more or less weird ‘celestial’ helpers. Food for Ghouls playing the Celestial trick. Yes, I know…. but I have to say it. Seen it, heard it. Not pretty. If the flow and the balance are kept between those chakras, sexuality will still be there but flow into sensuality towards every manifestation on this planet, and a sacred and pristine connection is made. That is the raw sexual power of the Hara being smoothed out by the Pineal Gland and it will transform the possessiveness of the Hara into: Desire/Passion. That’s a very sweet process. The Solar Plexus, the center or the melting pot for anger, jealousy, hate, will be smoothed out by a healthy connection to the throat charka, which gives us a hint: Use communication to solve issues (Throat Chakra) not violence or wars (Solar Plexus). We cannot take a single chakra out and pump that spiritual iron only. It will take years to come back in the flow. Everything flows in the chakra system and passes through the alchemy of the heart. The inner life we have and the external life we have. The heart bringing together what has been divided. Though… it can be high impacted and change our life in a second and all of our energetics. Someone could say: I love you. If somehow awake we will get impacted by the deeds of the hearts of others. And that openness to change is what we really need. Change the heart and everything changes and will never be the same again. The Heart is what we need to activate and our sacred system will provide for the rest.